Tuition fees at CIT are covered by the terms of a government scheme under which the State pays the tuition fees of full-time, non-repeat undergraduate students (from Ireland and the EU) who are not graduates. Accordingly, no tuition fees are payable, except by certain categories of students such as Non-EU students, students taking a second undergraduate course or those taking a year of a course for the second time. An annual fee*, set by the government for student services, registration and examinations is payable to the Institute. For students who have been notified that they have been awarded a student grant, the fee is paid on their behalf by the grant authority. Other full-time students must pay the fee by a specified date, of which they will be notified. * (The fee for 2018/2019 is €3,000 plus €7 compulsory USI charge). All students who are successful in obtaining a place are required to complete the official CIT Registration Form before commencing or continuing their studies. This includes providing official state issued identifcation. Further information will be in the pack you receive from CIT when you accept your offer of a place on a programme of study. The student grant is the main source of financial help available from the Irish State for students in full-time Post Leaving Certificate Courses (PLCs) and full-time higher education undergraduate courses. Support is available to eligible students in most colleges in Ireland as well as eligible Irish students in many colleges in Northern Ireland, the UK and other EU States. 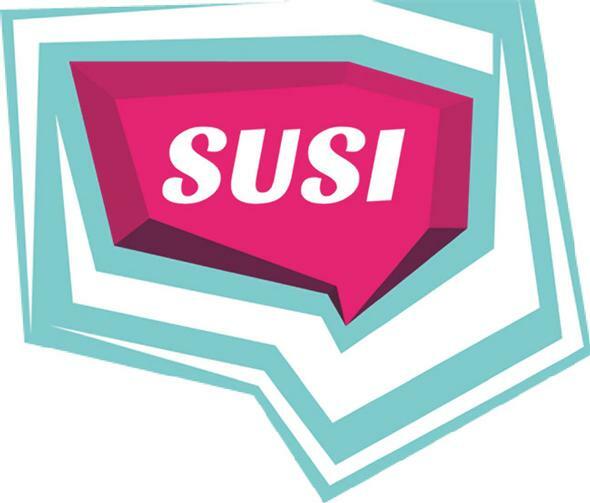 Visit www.susi.ie for more information. For eligible students, the grant is there to help with the various costs of participating in further or higher education. Students on part-time courses, access or foundation courses (in higher education institutions) and short courses are not eligible to apply for a student grant. Family and/or personal income is a key factor that will be assessed when you apply for a student grant but there are also some other conditions. Studentfinance.ie can help you to assess whether you are eligible and guide you through the process. In all cases, the official decision on eligibility is made by the grant-awarding bodies. If you think you may be eligible for the student grant, you should apply for it as soon as possible. You do not have to wait until you receive an offer of a place or enroll in college. Only when your application has been completed in full and submitted to the grant-awarding authority can your eligibility be determined. Full details on the Student Grant scheme, including associated legislation, are available here. NOTE: Check www.susi.ie for updates. Please note the student grant can only be applied for online- click here to apply. For more information regarding the student grant, please see http://www.studentfinance.ie. As part of an initiative to tackle educational disadvantage, a European Social Fund aided Student Assistance Fund has been made available to CIT by the Department of Education and Skills. The objective of the fund is to provide financial assistance to full time undergraduate/post graduate students in need of such support. The fund is intended to support students whose participation in Higher Education would otherwise be at risk as a direct result of financial difficulties. Applicants must be students registered with CIT participating on a third level course of not less than one-year duration leading to an under-graduate or post-graduate qualification. Applicants on the Back to Education Allowance for unemployed people, lone parents, and people with disabilities will also be considered. Application forms are available from the Accommodation Office, 1st Floor, Student Centre, Bishopstown Campus and are available to pick up at various other locations across the Institute. The Back to Education Allowance (BTEA) allows people in receipt of certain social welfare payments to retain those payments whilst participating in approved full-time courses. Approved programmes range from foundation courses to postgraduate courses. You may work part-time without affecting your BTEA payment. Students entering a new course who are in receipt of the Back to Education Allowance can apply for the fees element of the Student Grant but will not be eligible for the maintenance element of the grant. Such students can apply under the Student Grant Scheme (www.susi.ie) for the fees element of the grant in order to have the Student Contribution Charge and any tuition fees payable for the course paid on their behalf. If you are in receipt of a One Parent Family Payment or a Disability Payment (Disability Allowance, Invalidity Pension or Illness Benefit) you can choose to stay on your current social welfare payment and apply for a student grant or you can choose to transfer to the BTEA, depending on which option benefits you most. In general, people who are studying full-time are not entitled to Rent Supplement unless they are getting BTEA. For further information visit www.welfare.ie or contact your local Social Protection Office.